Vinyl windows offer many benefits for your home, such as lowering your maintenance and improving your home's energy efficiency, thereby also lowering your energy bills. When you install vinyl windows, you can improve the look of your home and improve its overall value. Though vinyl windows are very affordable and can help you save a lot of money in the long run, they can still cost thousands of dollars if you are considering a total home replacement. If you feel hesitant to invest in the windows replacement that your Oakville home needs because of this cost, you can feel assured knowing that there are many ways to finance the investment. Many Oakville windows companies offer special deals with their vinyl windows, such as free installation and free removal of your old windows. These perks could take a few hundred dollars off the cost of your vinyl windows investment. Some windows companies, such as Canadian Choice Windows, offer their own affordable financing for vinyl windows replacement. For example, at Canadian Choice Windows, you can get zero percent financing for your total vinyl windows replacement. You'll make low, affordable payments for the term of the loan, and you won't have to waste money on high interest rates or other administrative fees. You'll just pay for the cost of the windows. 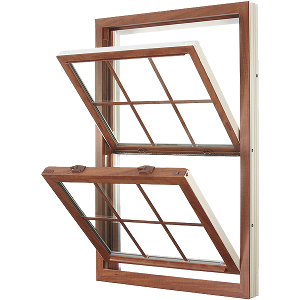 By the time you are ready to replace your windows, you have likely spent many years in your home. Therefore, you have probably built up some good equity in your home. You may be able to take out a low-cost home equity loan to finance the cost of your windows. Typically, home equity loans have a lower interest rate because you have established credit history and more stable finances thanks to your asset.